We grew up in the same small town near Copenhagen in Denmark. We were both raised to love and care for our nature and environment, thus it was natural to start our own company with a sustainable focus. The idea of the fashion brand came while Gritt was studying Fashion Design at KEA university in Copenhagen. With internships and job in the conventional fashion industry, we quickly noticed the industry's lack of interest in sustainability and long lasting, timeless collections. An idea was created and the urge to do a difference resulted in starting our company – Gritt & Borris. As mentioned, Gritt has a BA in Sustainable Fashion Design from KEA University Copenhagen and before that studied at the Vera Design School in Copenhagen. With a mother, educated in tailoring, her passion for designing, drawing and sewing has always been a big part of her life. 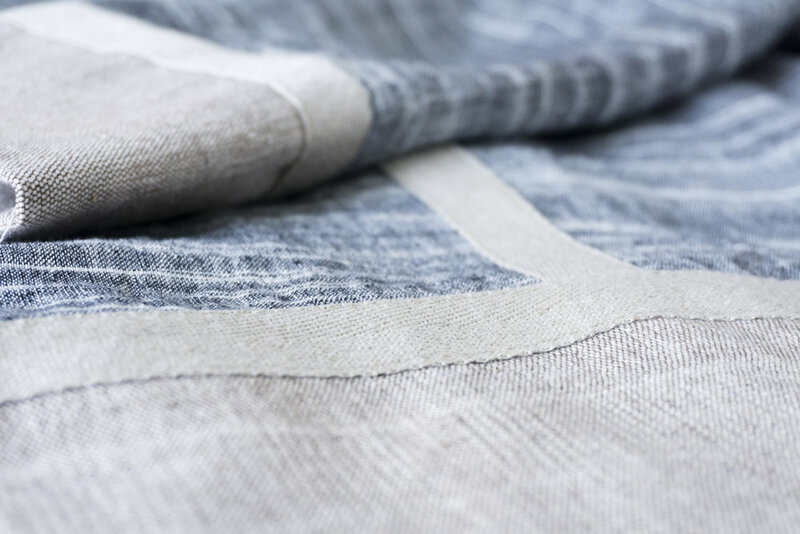 As a part of Gritt & Borris, she designs the collections, sources the textiles and manages the economics. She gets her strength from her love and partner Mikkel. We could not do this alone and thus we get help with for example production and pattern making from our very talented friend Marie, who makes sure our clothes is well fitted and finish is on point. And of cause our parents, who always are there for us with financial advise and the most loving and positivt support we could wish for. We are deeply humbled by all the support we are given and hope one day to expand so our little company will be a bit bigger and filled with those amazing talented eco-oriented people out there. Our design universe is inspired by our every day life. We get inspired while traveling, drawing and painting, watching movies, on the internet, in the nature, on simple afternoon walks, by museums and art exhibitions, and we most definitely get inspired by our lovely and supporting friends and family. We get inspired by EVERYTHING and EVERYWHERE. We always try to have an open mind and let our senses get inspired by new and old impressions. We strive to be as sustainable as possible, not just in our company but in our personal lifes as well. We follow our own wash care guidance, we eat organic, mostly plant based food, we only shop when necessary and shop timeless, quality items that we can keep in our home and hearts for a livetime. It's small steps, but every little steps matter towards a more green and bright future.